I’ve said it before and I’ll say it again– when Spirit wants to send us a message, it always finds a way. For the last few days I’ve been hearing “Let me call you sweetheart,” gently streaming through my mind. This was a song that my grandfather used to like to sing. It was soft, not too much of a nudge, but it was there and made me think of him and the time in my life that to this day I consider the best time of my life. I recently became a listener of iTunes Radio, which is a nice change of pace from scrolling through my personal library of music over and over. Since my taste in music is very eclectic, I have quite a few stations that you’d be surprised to see alongside one another. Today, I decided to create a new station, so I typed in “Let me call you sweetheart” and let the music play. Oh what a different time it was when songs like this were popular. I found myself flying through my work at a very steady pace with artists like Perry Como, Patti Page and The McGuire Sisters, reminding me of a more gentle time in the background. I thought about being a little girl in my grandparent’s North End apartment, and how every time I turned on the bathroom light, the radio would turn on and I would hear all of these artists and more. Then my thoughts turned toward my grandmother and how much I’ve missed her every single day of my life since she went Home in 1983. It always brings me back to myself when I think of her. She was the only person in the world who I ever felt truly understood me. She never had an unkind word, although she was a tough cookie. She’s the one who taught me how to tidy my room, saying things like, “if you take care of your things, you’ll always have new things.” I thought about how my life would have been different if she was still with me. And then, all of a sudden, there it was. My grandmother saying hello, through a song. 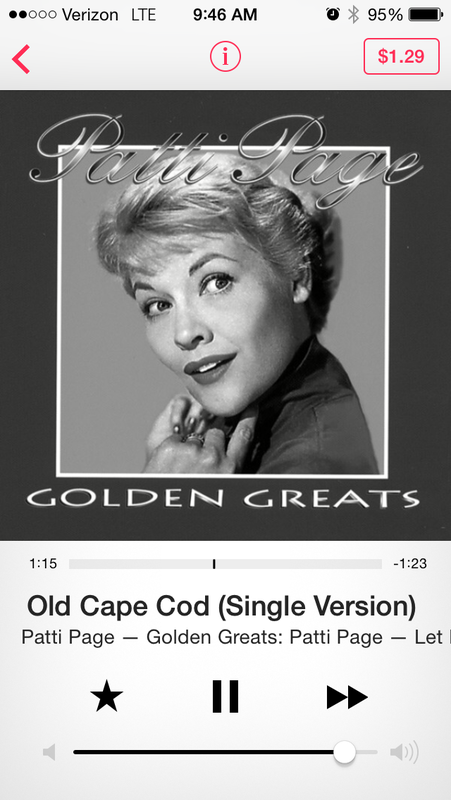 A song that came because I listened to my grandfather saying, “let me call you sweetheart.” She hears me. 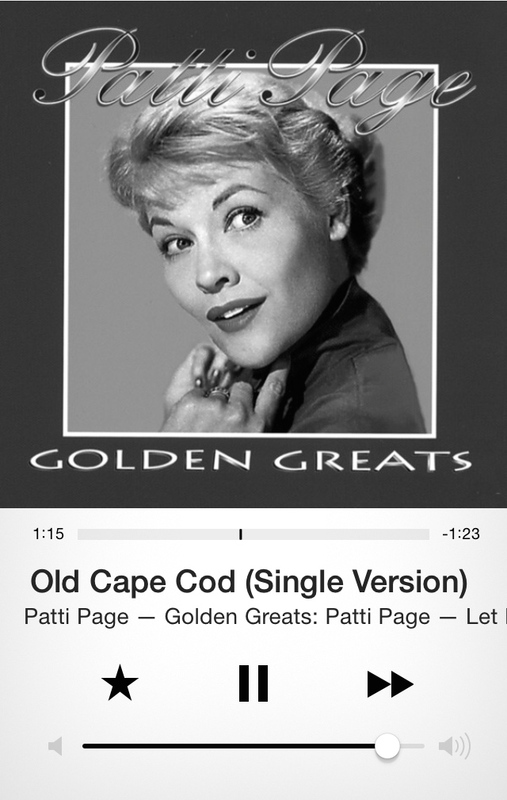 She knows I’m still at her favorite place, Cape Cod. When your loved ones are trying to reach out to you, they will use whatever means necessary to do so. My grandmother knows me so well, and can give me messages easily, but she never does! She still remains that wonderful, fun Gramma that wants me to be as surprised now as I was when I was a little girl. She knows that even though I can hear her, there are times when I need to see something in the physical world that shows me I’m not alone. And believe me, she loves to see the look on my face when she does the things she does to reach me. They are always ridiculously hard to ignore and absolutely perfect in the way they come to me. So, why do I write about these things and share them with people on the web? It’s simple. I’m the person people talk to when something amazing happens to them and they think they are nuts. When the story is followed by the quesiton, “do you think it was “so and so” trying to send me a message?” I can’t help but share my own experiences. It’s been said that for those who believe, no proof is necessary, and for those who do not, no proof will be sufficient. This is one of those things for most people. What you know in your heart, is your own truth. It is yours, and no one else’s. Don’t let that truth become less than the beautiful light it is because a third-part perspective cannot see, feel or understand what you know in your heart. Even when I’m sure everyone in the Spirit world is busy with other things, they make it known to me that I am never forgotten. What better gift could I ask for? ~ by healingstarspirit on January 16, 2015. Thank you for deciphering things that have made no sense to me since the death of my mother. I have always felt blessed and that Angels were guiding me and keeping me safe. Even when I made questionable choices!